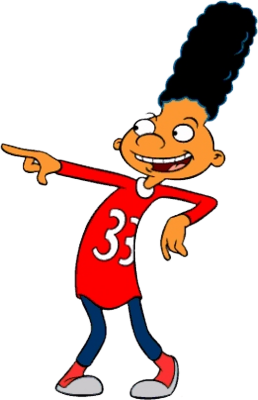 Last night Danny Welbeck or the token black kid in Hey Arnold, scored the opening and only goal for Manchester United against Shakhtar Donetsk. 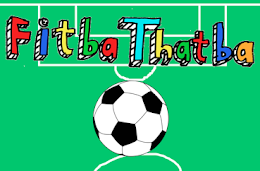 In a game that saw them score one goal, get one point and all that from one shot on target. But what would have happened if Welbeck didn't make the bus? Well he almost didn't! It turns out that the team bus actually left the Carrington training ground without poor Danny. Apparently the man in charge of the clip board couldn't handle the tricky task of counting and ticking, and told the bus driver to drive off- despite Welbeck and Chris Smalling not actually getting on the bus. Danny usually rooms with Phil Jones, but Jones had drank a lot of Pepsi and the chances were highly likely that he would pee the bed. Not wanting to be covered in piss and after falling out with David Moyes earlier that evening, it was decided that Danny was to stay in a room by himself on the top floor of the Manchester United house, a room that was seldom used and away from the rest of the bedrooms. Meanwhile as the bus drove off, Danny had woken up in the Manchester United house all alone. After first of all thinking everyone was playing a prank on him, he soon realised all his dreams had come true - he had the Manchester United house all to himself! After dancing around, using Rooney's (he hates Rooney) BB gun, eating ice cream and watching 18-rated movies. the reality of being a grown up soon set in. He had to organise dinner, get the groceries, do his laundry and all the other day to day things you never have to do when you are a millionaire footballer. There had been a spate of burglaries in the Manchester United area of late, and luckily Danny overheard two burglars discussing breaking into his the Manchester United house! He rushed home and started making defences around the place. Using only his cunning, house hold items, a BB gun to shoot someone in the face, and of course a tarantula- the burglars were hysterically, brutally injured in a series of comedy assaults- but they still managed to get their hands on little Danny! Thankfully Chris Smalling (who he used to think was a murderer) showed up just in time with a shovel and smashed the burglars in the face to save the day! All it took was the threat of having his fingers bitten off to make Danny realise that his Manchester United family were really important, and he prayed he would see them again, even Rooney. Thankfully Moyes and Neville eventually realised they had left little Danny behind and came back to pick him up. He made to the airport, flew to Donetsk where he scored a goal, and then made a series of sequels, with the third one being so bad, it might have actually given me cancer.